Event – The user based action or change that should trigger the rule. 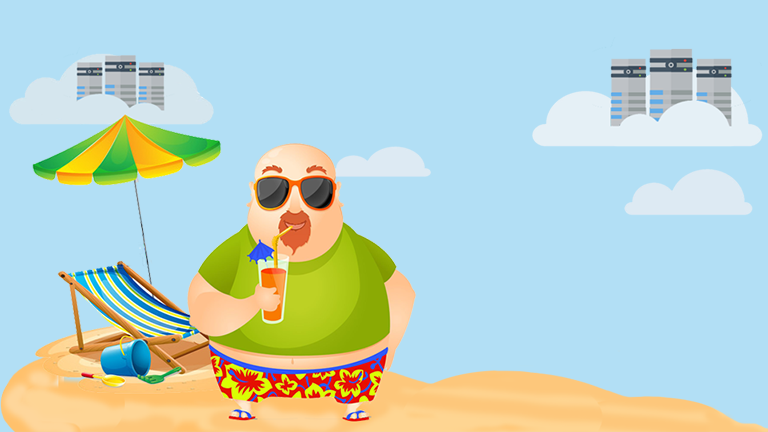 Events Performers – Which user interaction should trigger the rule. You can choose between agents, the ticket requestor or Anyone. Conditions – The criteria a ticket must meet before the event trigger can be executed. You can setup up to three (3) groups of conditions in a single Event Trigger automation, allowing you to customize each event trigger to meet your exact needs. 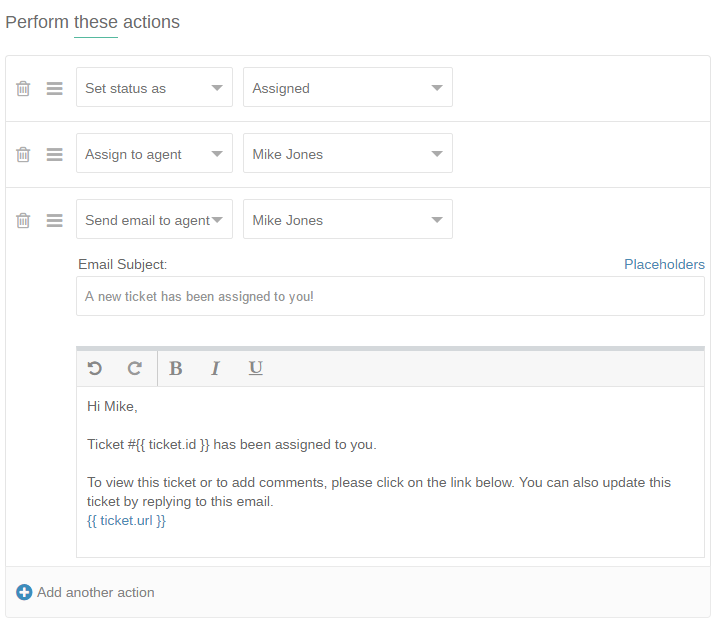 Note: Custom ticket fields are also supported in event trigger conditions. Actions – The actions you want to execute. 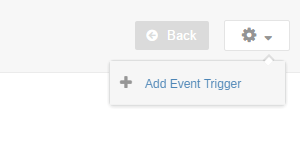 Select the Event Triggers option. At the Top Right of the page, click the drop down menu and select Add Event Trigger. On the add event trigger page, enter a name and description for the event trigger and configure it with your preferences. Finally, click on the Submit button to add the event trigger. Note: Event Triggers are executed on a first match, first execute bases, so the order of the trigger is important. I was wanting to know if it is possible to integrate Trakdesk with the existing tool I am using that produces e-mail notifications based on an event and report on the full history of events? You can definitely integrate trakdesk with your current notification services. Take a look at this article. http://support.trakdesk.com/support/en-us/articles/34-setting-up-and-configuring-your-support-email-accounts . You can also email us at support@trakdesk.com for assistance.